« Curious about the natural history of Australian lizards? A major interest in our lab is social behaviour and why animals live in groups. Group formation has evolved numerous times independently in many different species. Understanding the proximate mechanisms and ultimate (evolutionary) factors driving group formation is a major challenge in evolutionary biology. Stephan Leu recently spent time in the Lizard Lab and we wrote up some work he did examining social attraction among tadpoles of the Green and Golden Bell Frog. This was in collaboration with Mike Mahony and has just been published online in PLoS One (download paper). Socio-ecological models combine environmental and social factors to explain the formation of animal groups. In anurans, tadpole aggregations have been reported in numerous species, but the factors driving this behaviour remain unclear. We conducted controlled choice experiments in the lab to determine whether green and golden bell frog (Litoria aurea) tadpoles are directly attracted to conspecifics (social factors) in the absence of environmental cues. 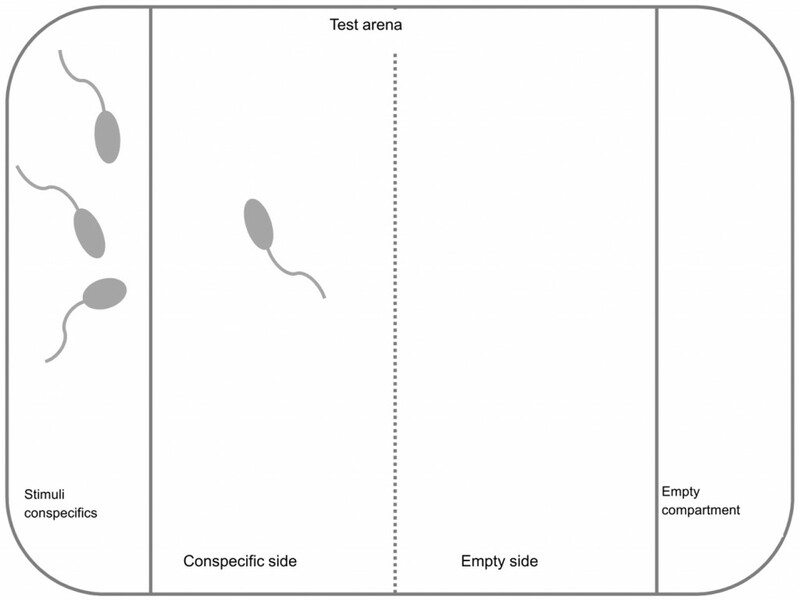 Using repeated measures, we found that individual tadpoles strongly preferred associating with conspecifics compared to being alone. Furthermore, this preference was body size dependent, and associating tadpoles were significantly smaller than non- associating tadpoles. We suggest that small tadpoles are more vulnerable to predation and therefore more likely to form aggregations as an anti-predator behaviour. We demonstrate that tadpoles present an ideal model system for investigating how social and ecological factors influence group formation in vertebrates.